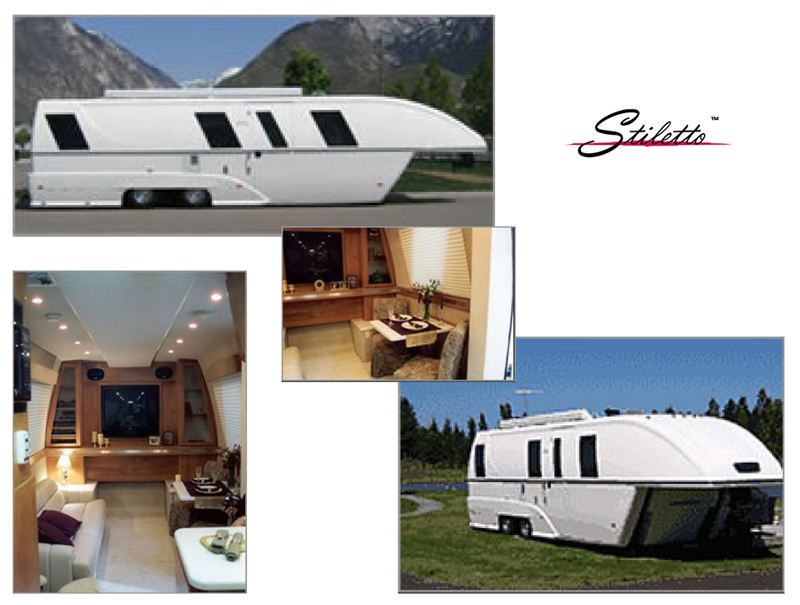 The 38-foot Stiletto fifth-wheel is not only shaped radically different from any other trailer, it also employs construction techniques and engineering principles from other industries such as automotive, aerospace and marine into the RV industry. For example, instead of the typical flat-panel stick construction, we use the coach’s form as the structural component. From a distance or up close, the Stiletto commands attention! 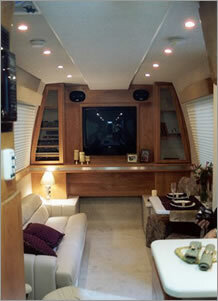 The body is constructed utilizing the latest advances in maritime and aerospace composite materials. The shell is built with molded fiberglass without the use of any wood products, creating a body that prohibits rust, rot, or leaking. The result of this fabrication process gives the body unsurpassed strength and durability while providing a lightweight and highly insulated coach.